The new 75mm f1.8 Heliar Classic VM lens is moderate telephoto but still compact in both weight and length; a nice lens particularly for half length portraits. 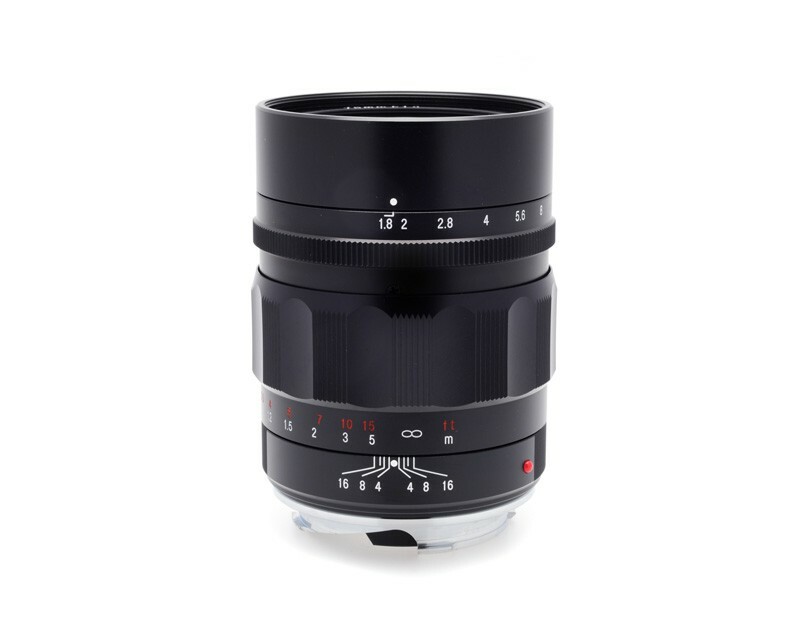 Voigtlander's Heliar 75mm f/1.8 Lens (Black) is a classic portrait lens--a short telephoto lens with a very large minimum aperture of f1.8. The large aperture also makes it a natural for working in available light, especially low-light situations. The 10 aperture blades will give you a very attractive bokeh (the portion of the photo that's out of focus). This compact (7.36cm long) and lightweight 427g lens has a VM Leica bayonet mount.